Ever wonder what it would be like to make magic happen with your twin sister and best friend? 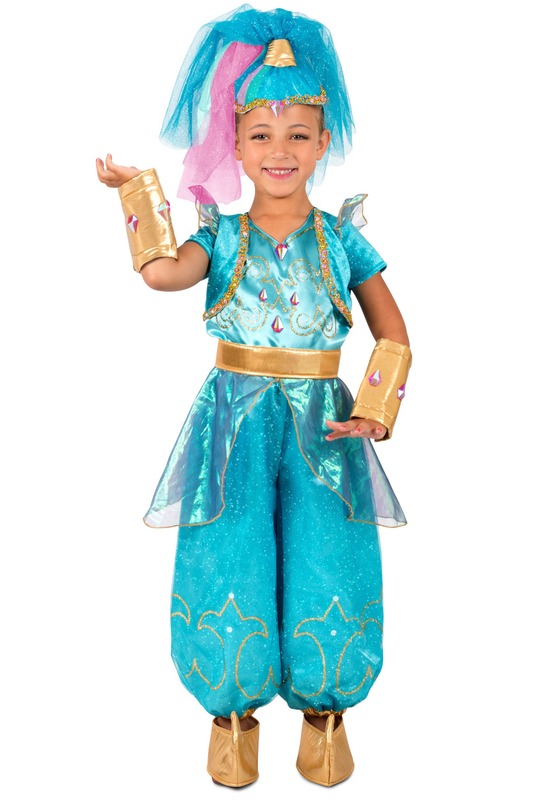 Well, if your little one is into Shimmer and Shine then we bet your child has. In fact, if she'd probably tell you all about what it would be like if you asked her right now. We'll give you a few minutes. . .
Alright, back? Took longer than you though, didn't it? That's because these genies transport children to another world where anything is possible. If you got to imagine yourself hanging out in a place as cool as Zahramay Falls then you probably would talk a lot about it, too! Simmer and Shine always do their best to make wishes come true for their best friend, Leah but granting wishes isn't as simple as it seems. Usually, all three of them have to work together to get everything back on track again, as bad as things might get they can make anything happen if they work together! Plus, all those wild adventures sure make things in that colorful land of theirs more interesting. 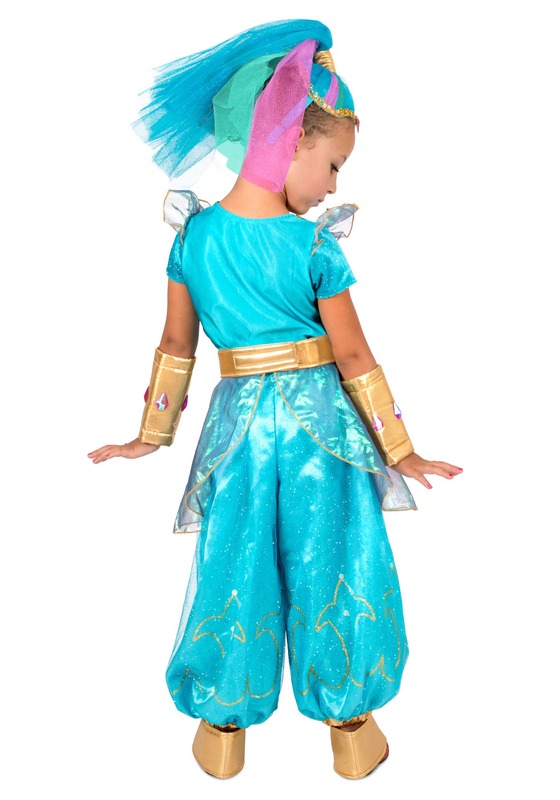 This costume has everything you need to make your little girl feel like her favorite genie! The ensemble features wide leg glittery blue pants that are tapered at the bottom. The top has a bejeweled pattern and is framed with a gold trimmed shrug. It's belted with gold fabric in the middle that secures with a hook and eye touch strip at the back. She'll have fun with the soft, curved shoe covers and gold and jewel arm gauntlets. Top it all off with the blue and pink mesh headpiece and your little one will be good to go! Now, to work on those wishes. . .